The Judo team at Scranton Mixed Martial arts has been preparing for the upcoming tournament season. This weekend marks the beginning of a series of tournaments that will end around May of 2012. The first tournament of the fall is the East Coast Championships which is held September 17th and 18th at the New Jersey Institute of Technology in Newark, NJ. Adults will be competing on Saturday and Kids will compete on Sunday. In preparation for this upcoming tournament and all of the tournaments that Scranton Mixed Martial Arts will be attending the Judo classes have been focused on competition success. The Scranton Judo team has focused on drills, tactics, techniques and strategy that will help them in matches during these tough tournaments. One of the drills we have been doing recently and will continue to do during the competition season at Scranton Mixed Martial Arts is three man uchikomi. In this drill, one person practices getting into position to throw his opponent while a third person anchors that person to the ground. The student gets into position and attempts to throw against a huge amount of resistance since their partner is anchored to the floor by the third person. The student continues to try to throw for about three seconds and then repeats. After about five repetitions when the student is in position to throw the ‘anchor’ is released and the throw is completed. Since the student has just done five reps against huge resistance the throw is very powerful. This drill helps mimic the resistance that will be seen in competition against very skilled opponents. It helps teach the student that once they are in good position they may encounter very strong resistance but they can still finish and throw their opponent. Another drill we have been doing with the upcoming competition season in mind is something we call turtle randori. The turtle position is very common in Judo. It is a position that can be very difficult to attack and often people do not have the necessary skills, strategy or techniques to effectively attack this position. We want all of our students and competitors to be able to take advantage of this situation each and every time it occurs in competition. When someone turtles it is like a free shot to attack and win that match. However you must practice this situation and drill it extensively to become proficient at securing a victory. In this drill we have one player turtle and one player attack the turtle. If any other position occurs like guard, a pin or a reversal the drill is stopped and the players resume the turtle position. This lets our players get plenty of opportunity at attacking the turtle. It also allows our players plenty of practice having there turtle attacked so they are comfortable if that situation occurs in a tournament. These are just two of the many drills we have been doing at Scranton Mixed Martial Arts for our Judo competition team. We will continue to document some of the other drills, tactics and strategies we implement in our Judo training to help prepare our students for competition. 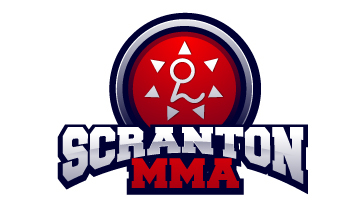 Good luck to all the competitors that will be competing in the upcoming Judo tournaments from Scranton Mixed Martial Arts.